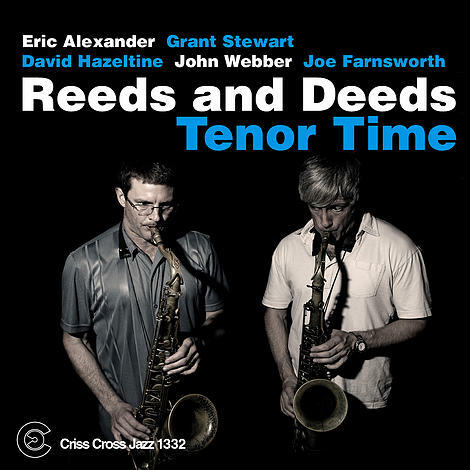 Reuniting for their third outing under the Reeds and Deeds banner, tenor saxophonists Eric Alexander and Grant Stewart lock horns once more in a spirit of mutual admiration. 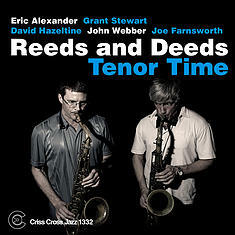 While their collaborative ethos makes Tenor Time the thoroughly musical affair that it is, Eric and Grant bring to the date that unmistakable charge of friendly rivalry as well. Joined by the formidable roster of David Hazeltine (piano), John Webber (bass), and Joe Farnsworth (drums) – Eric’s bandmates in the all-star sextet One For All – this two-tenor frontline means business. The program, rich in standard repertoire (“ Tenderly ”) and postbop classics (Donald Byrd’s “ Omicron ”), also includes a cutthroat tenor battle on the burning “ Rise and Shine ”, made famous by John Coltrane.